Our team are specialist roofing and cladding contractors. We offer commercial and industrial roofing services, including repairs and maintenance to factories, office blocks and warehouses. From our base in Kowloon, we can provide an experienced commercial or industrial roofer to Hong Kong, Shanghai and Chengdu. SouthWest Awnings supplies the best outdoor roller blinds and folding arms awnings Melbourne to protect you from the harsh sun. Its contemporary designs and elegant finish makes for an irresistible combination! So try our awnings systems to beautify your home and its surroundings! For more info visit : https://www. Leading Travertine, Porcelain, Marble, Ceramic Tiles, Pavers Supplier. Tile Liquidator are Sydney and the Central Coast's leading supplier of tiles and pavers. We have Sydney's largest tile and natural stone showroom so you'll be sure to find what you're looking for http://www.tileliquidator.com.au/ 6. We are a family business, husband & wife team. We have 18 years of experience and expertise and specialise in manufacturing and installing window furnishings since 1992. Advanced Blinds. We are a family business, husband & wife team. We have 18 years of experience and expertise and specialise in manufacturing and installing window furnishings since 1992. Our priority is you. We offer quality products and friendly old fashioned service. http://www.advancedblinds.com.au/. Timber tiles simply look classy all over your grounds. In case, you have been planning for neo-classical home designs, get in touch with Design Tiles now and avail the finest quality timber tiles for yourself. To make us stand out, we keep lower-price while supplying only featured items. Besides, there is a variety of designs, textures, pattern and size, which further enables our customers match their individual needs hassle-free. the best a part of ought to be 3D Rendering Studio in Australia atmosphere. as associate example, therefore on build a picture of area interior you'll have to be compelled to build a whole area. one space doesn’t sound variety of an enormous 3D Rendering Studio can it? but what if you've to form the whole collection? Read More - http://www. Professional synthetic grass company offering supply and installation of high quality Australian made synthetic grass. We supply Australia wide and install Sydney wide..
New 2x IKEA ALGORT - Fabric, moose, pink sofa cushions. Handmade and new. 82x23x43cm. Covers can be removed for washing. Suit two seaters sofa..
Millthorpe Blue offers a wide range of both locally and internationally selected including cowhide products, Toys, Jewellery, Bags and more. http://www.millthorpeblue.com.au/ 23 Pym St MILLTHORPE NSW 2798 Australia. Colours painting and decorating services is a family owned and operated business operating in Sydney and beyond, with over 20 years experience, our efficient, punctual, clean and friendly painters are committed to satisfying all your painting and decorating needs.for more info visit our website: http://www. Furnishing windows across Greater Western Sydney. Blinds and Shutters for patios, balconies, outdoor dining areas, verandas, carports or internal and external window coverings with a 7 year warranty.. Highly skilled in the rejuvenation, restoration and maintenance of outdoor timber constructions. These include decks, jetties, screens, pergolas, stairs, fences, hand rails & posts, etc.. using a wide range of quality products. We offer obligation FREEE QUOTES from Sydney to Newcastle..
Australian owned and manufactured with a better than zero carbon footprint, Weathertexs external timber cladding is the ideal solution for any builder, architect or designer in search for environmentally conscious and high quality material. All Weathertex products are made from, without any chemical additives, certified state forest or private hardwoods in Australia. Sales of quality commercial catering and kitchen equipment including dishwashers, glasswashers and commercial refrigeration and freezers..
Handicrunch has the most wonderful pillow covers which you can pair with beautiful bedsheets. The astonishing pillow covers will add a charm to your bed. All our collection of Indian traditional pillow covers is designed by experienced designers. All pillow covers from handicrunch are available in diverging designs, patterns and funky colors. We are a professional tiling team that take pride in delivering quality installations for our clients. From quote to completion we ensure that all aspects of a project are carried out in accordance with best industry practices to ensure longevity of your investment. We have been completing bathroom renovations, new tiled floorings internally and externally, tiled swimming pools and surrounds since obtaining our contractors license in 1994. Waterproofing company, sealing balconies & showers where the membrane is failing without removing the tiles. Offering a warranty to match your needs on its product and workmanship..
Manufacturers of unique stone bathroom products, Pietra Bianca bath wear are the first choice for many leading designers and architects and can be found in the most exclusive establishments around the world. Call 0424 701 104 Address : Sydney Rosebery NSW 2018 Australia URL : http://www.pietrabianca. Zevro offers stylish and unique kitchenware to spice up your kitchen. Zevro is dedicated to creating new functional design products for the kitchen and home. Have a browse of our products to add to your modern living at zevro.com.au 02 9698 3588 6/904 Bourke St Waterloo NSW 2017 Australia. Honey-Can-Do is all about passion, green, service and process. We are passionate about our products to fit your homes style. We are constantly striving to be Green, exploring carbon-neutral programs and looking for business partners that have the same values. Our quick, efficient and friendly customer staff are here to help answer all your questions. We are specialists at protecting properties, commercial or residential, from unwanted pests and termites for peace of mind call us on (02) 9636 2957 Address: 23 Jewelsford Rd, Wentworthville, NSW, 2145, Australia http://www.blakespestmanagement.com.au/. We are experts in home staging for the seller of homes and units etc. We always come back to the fact that you are “inviting guests” into your home and how imperative it is to ensure that the invited guests who walk into your home, FEEL like and are treated like “invited guests” If you really want to stand out from the crowd, then consult with Todd for a result that will put more money into your pocket. The new 2400w Deluxe SunStrip Alfresco Outdoor Radiant heaters are slim line, non-glowing, highly efficient outdoor radiant heaters suitable for residential, commercial and hospitality uses. Remote control adjustable heat levels and Ceiling or wall mounted Sunstrip range of outdoor electric radiant heaters. Heal Body Pains with the Power of Water! Call us now! Here’s a revolutionary new way to treat your body – Hydrotherapy! Using the nourishing properties of water, relieve stress both mentally and physically! What’s more, our hydrotherapy spa system speeds up recovery from physical injury too! Call us now on 02 9838 7608. For more Details visit http://www. Do you fear long power outages? Do you wish for continuous supply of electricity? If yes, get in touch with the leading seller of Generators, Edisons. Purchase a generator anytime with commercial warranty and say goodbye to long, unwanted power outages. Contact us today. http://www.edisons.com.au/power-generation/generators/. We are Australia’s leading lighting retailer in Sydney. We offer the largest selection of modern lighting. Our objective is to provide excellent customer service supplying top quality products. As a result, we only work with Australian and International lighting manufacturers. If you wish to contact us, please use any of the options given in our contact section, we will be more than delighted to assist you. Tired of searching the best Wall mounted coat and hat hooks for your place? Have a look at our wide range of wall mounted hooks that will certainly complement your walls! Checkout our website today! Contact Info: Email: hello@littlesomethingsshop.com Website: http://www.littlesomethingsshop.com/collections/coat-hat-hooks. 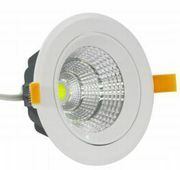 7 Watt adjustable LED downlight consisting of a single TAIWAN made LED chip in 3000K, 4000K or 5000K colour temperature options. All colour temperatures have a high colour rendering index (CRI) of 90+ and high COB lumen outputs of 560Lm (3000K), 590Lm (4000K) and 620Lm (5000K). Anodized pressure cast heatsink provides effective thermal management ensuring high output and long lifespan. Home, garden Sydney ads Sydney, Home, garden classifieds Sydney, Home, garden free ads Sydney, ads for sale Sydney, ads to buy Sydney, FREEADSAustralia Page number 8-1. Find here ads for sale, to buy and rent in Sydney. Goods for sale in Sydney, vehicles for sale in Sydney, Sydney real estate for sale, Sydney property for sale, property for rent in Sydney, business ads in Sydney, Sydney business classifieds, services in Sydney, Sydney services ads, jobs in Sydney, pets for sale in Sydney, Sydney dating, Sydney cars for sale.